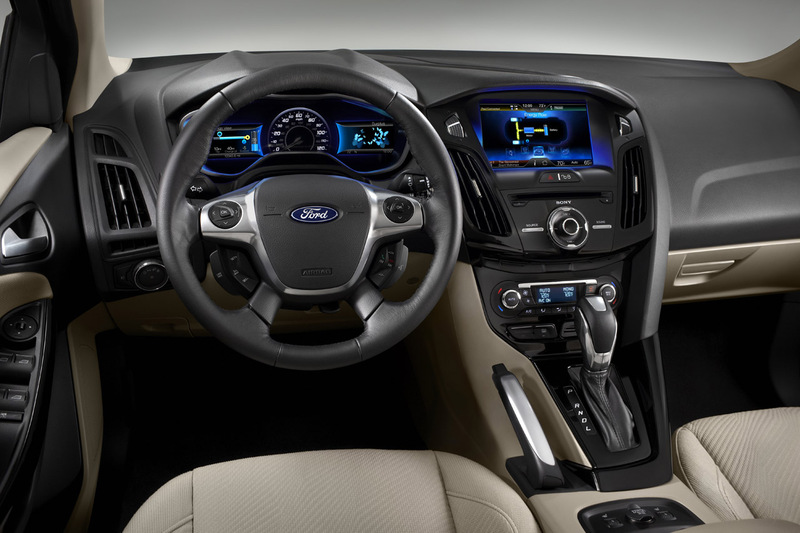 DEARBORN, Mich., March 2, 2012 – Ford’s all-new Focus Electric is now officially America’s most fuel-efficient five-passenger car with a certified 110 miles per gallon equivalent (MPGe) city rating and 99 MPGe on the highway. Focus Electric also has been certified by the EPA to offer 105 MPGe combined, beating Nissan Leaf by 6 MPGe while offering more motor power and more standard features. Focus Electric’s 99 MPGe highway certification bests the 92 MPGe rating for the Leaf. Focus Electric bests Nissan Leaf in other ways, too – more passenger room and a faster charging system that allows for a full recharge in nearly half the time of Nissan Leaf. 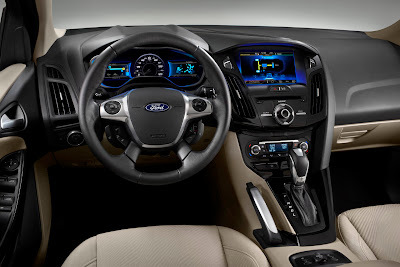 The Focus line soon will be joined by the new 2013 Ford Fusion – aiming to be America’s most fuel-efficient gas- and hybrid-powered midsize sedans – to help create one of the industry’s most fuel-efficient car lineups. The Fusion Energi plug-in hybrid is projected to become the world’s most fuel-efficient midsize sedan by achieving more than 100 MPGe in electric mode. The EPA-approved Focus Electric label also certifies that the car has a range of 76 miles on a single charge compared with the 73-mile range of the Leaf. The Focus Electric can be driven up to 100 miles on a single charge depending on driving habits. The average driver drives 29 miles a day, according to the Bureau of Transportation Statistics website. The approved label also will say customers could save $9,700 in fuel costs over the course of five years compared with the average new vehicle. Comparative savings could go even higher if the current trend of rising gas prices continues. In California alone, the cost for a gallon of gas rose 20 cents in a seven-day period that ended last week. Unlike competitors that have designed electric and hybrid vehicles from scratch, Focus Electric benefits from being based on the fuel version of Ford’s global C-segment car. “Focus Electric shares many of the same premium components and features as its gasoline-powered counterpart while delivering distinct efficiencies and a uniquely exciting driving experience,” said Kuehn. In addition to boosting quality, Ford’s strategic decision to electrify vehicle platforms – instead of creating one-off vehicles – allows the company to offer customers more choices as part of its fuel-efficient product lineup. Focus Electric features an advanced charging system that allows the car’s battery to fully recharge in four hours – nearly half the time of Nissan Leaf – using available 240-volt outlets that can be installed in residential garages. Faster charging with 240 volts also can extend range as drivers can more quickly recharge between stops – up to 20 miles per charge hour – so they can significantly improve a car’s range during a busy day of driving by recharging multiple times. If you have any questions about any of our vehicles and hybrids feel free to ask! We'll be happy to answer any and all of your questions.